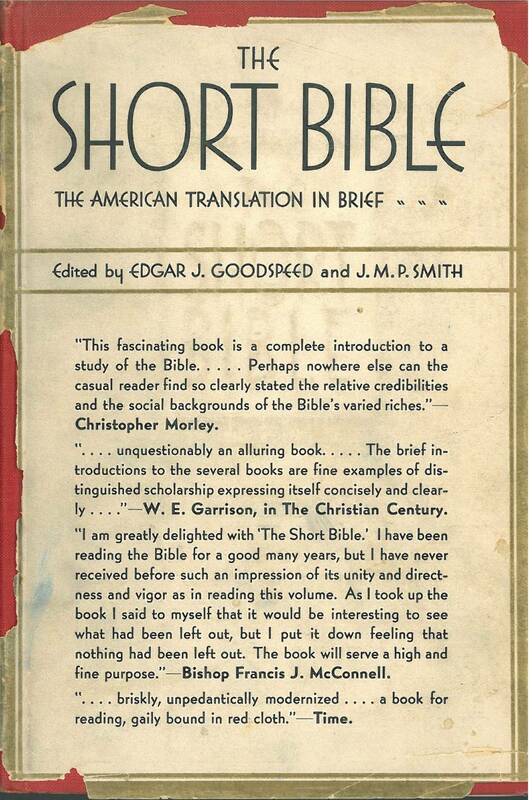 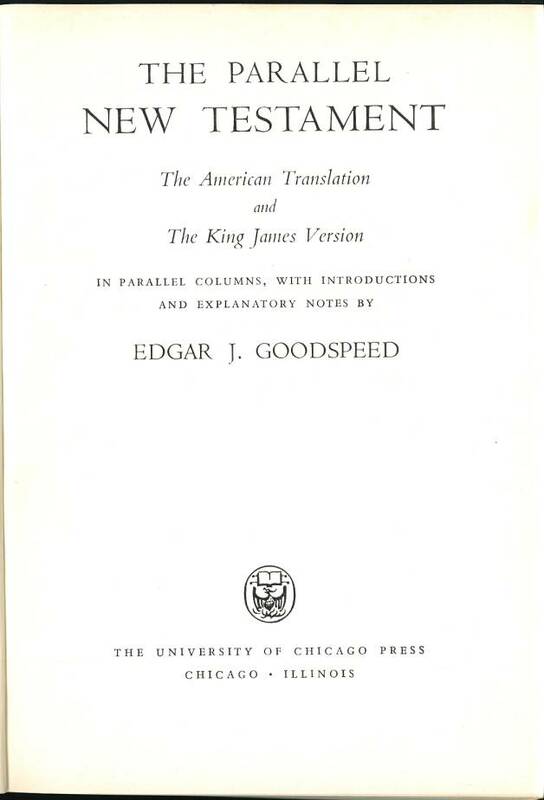 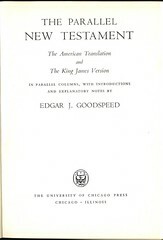 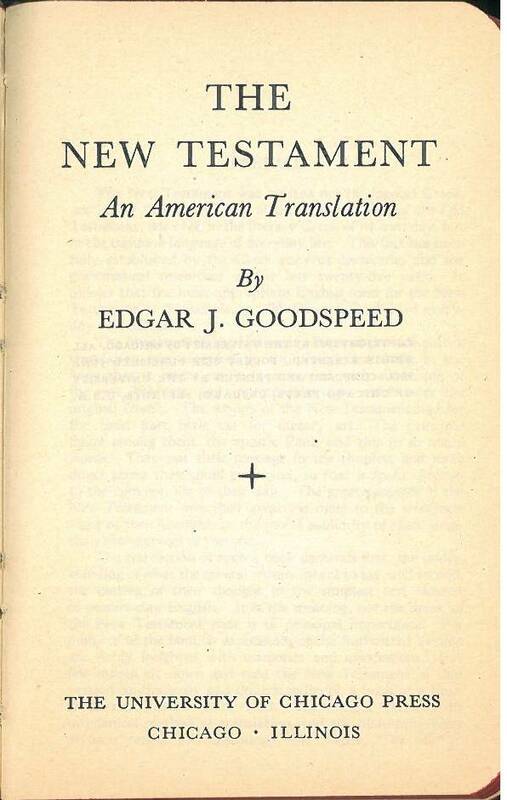 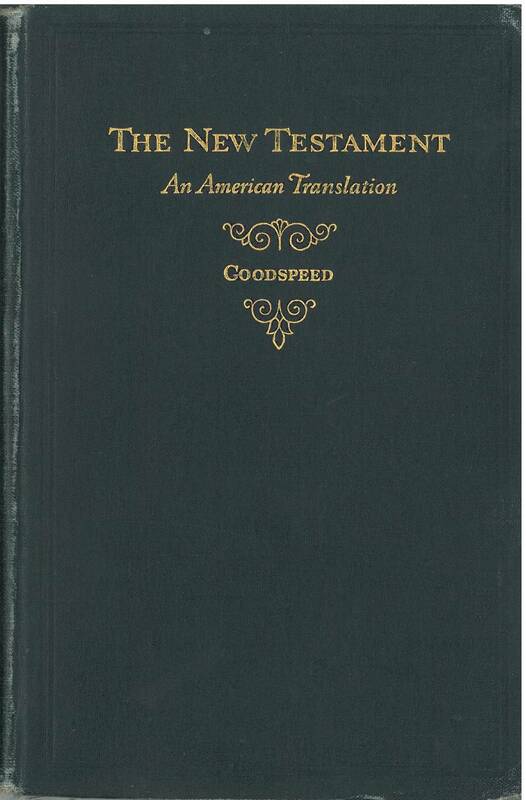 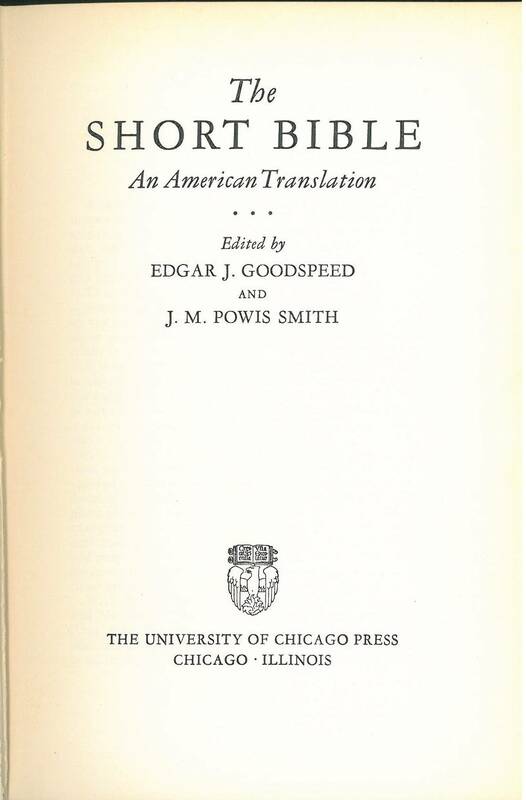 For sample verses from the American Translation, click here. 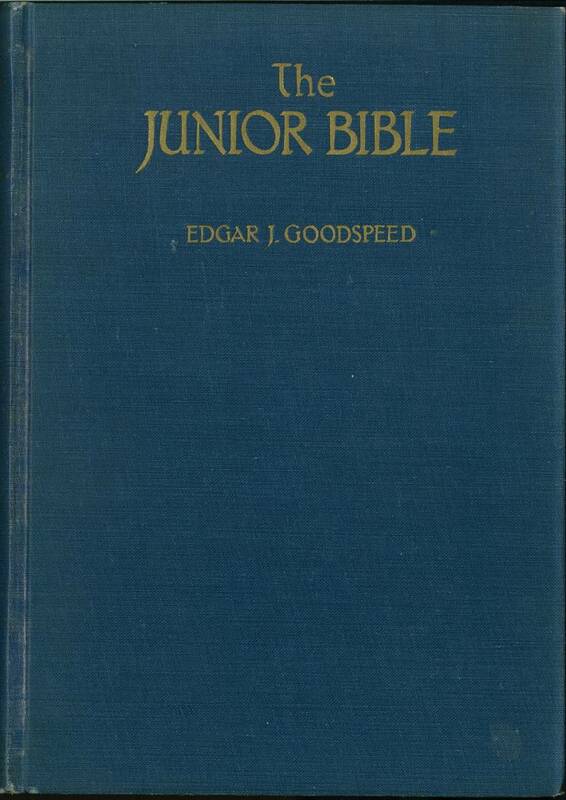 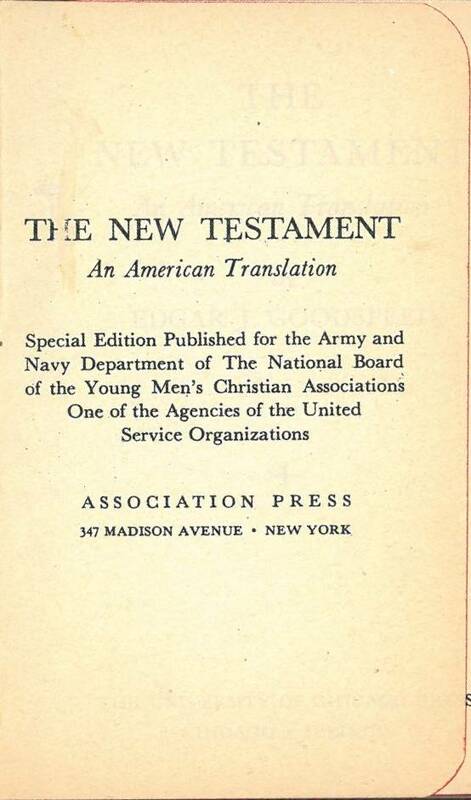 Comments: This is a "Special Edition Published for the Army and Navy Department of The National Board of the Young Men's Christian Associations One of the Agencies of the United Service Organizations." 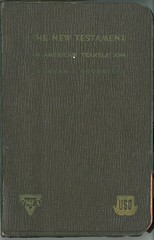 The front cover is embossed with the YMCA and USO logos. 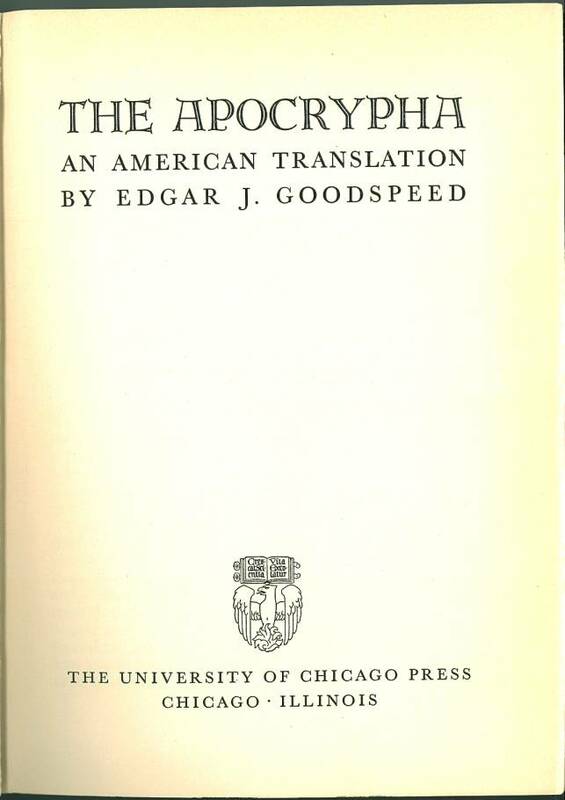 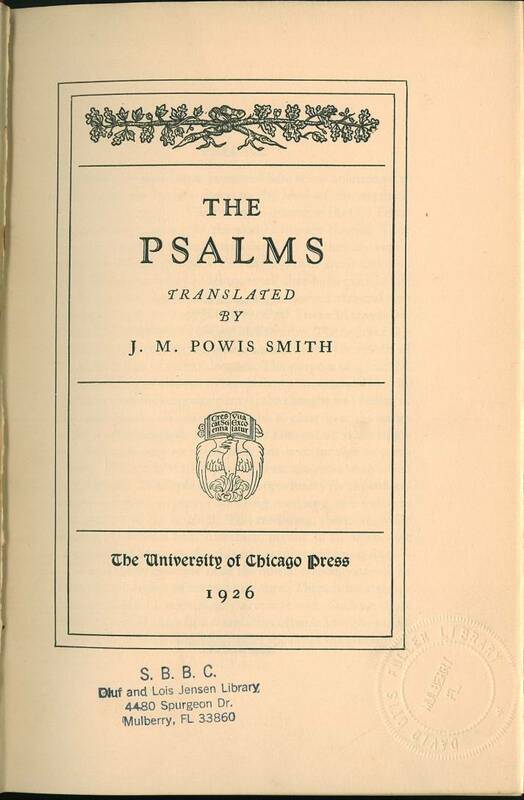 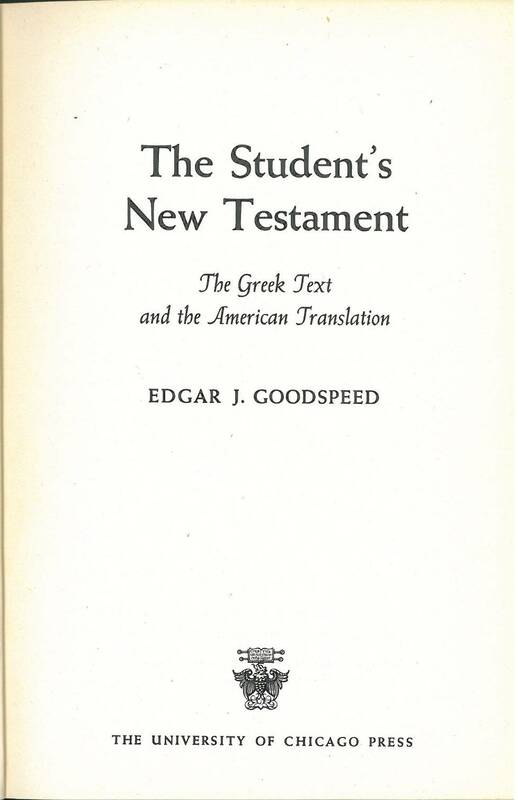 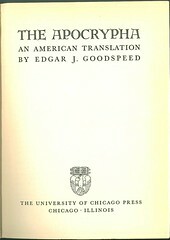 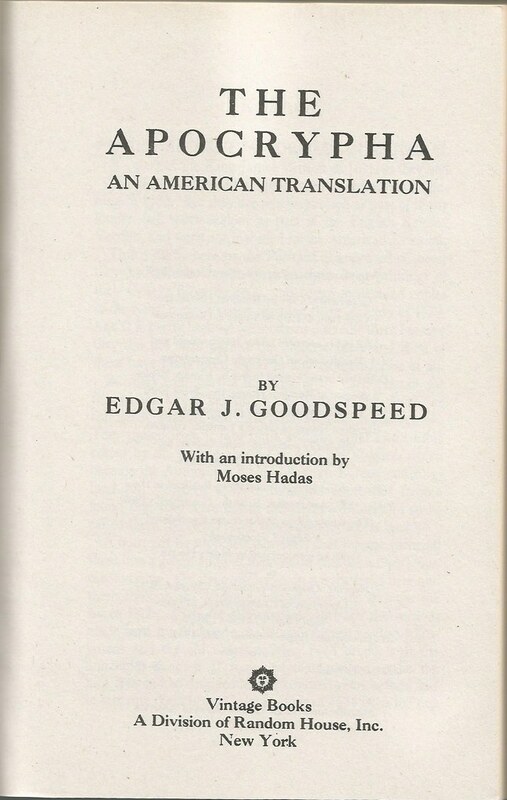 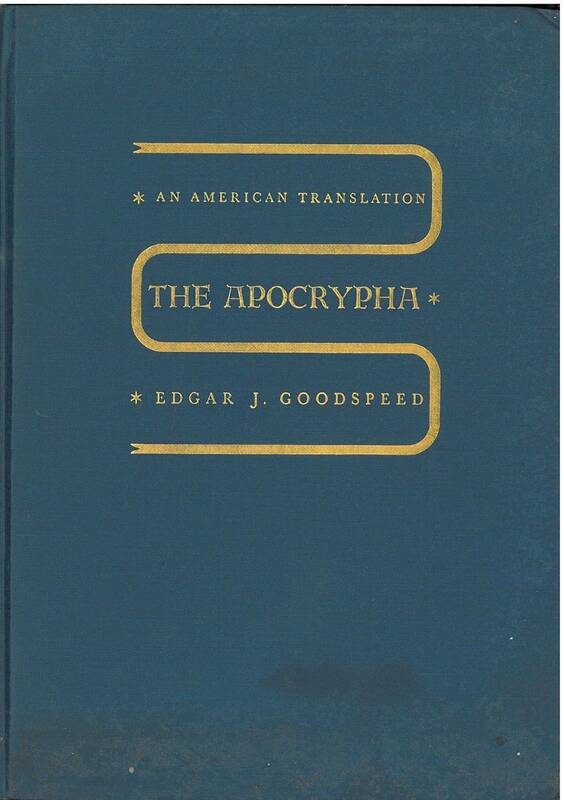 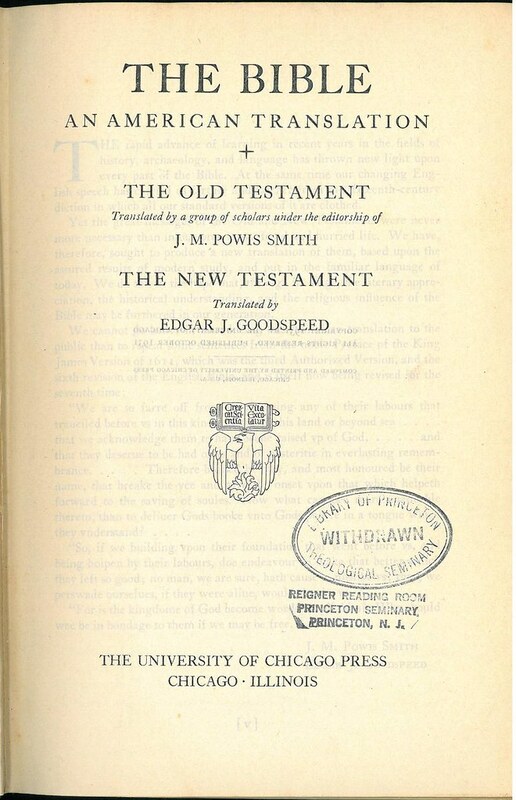 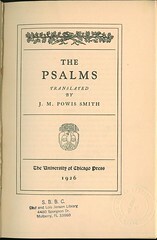 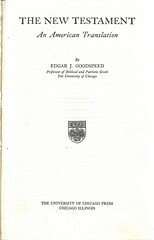 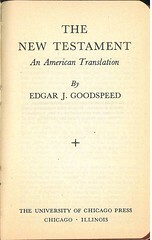 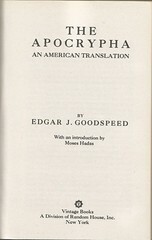 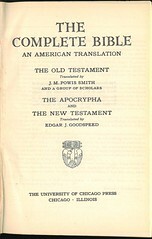 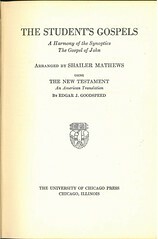 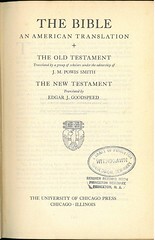 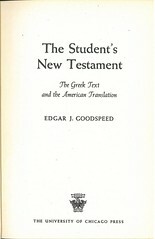 Other Images: Jacket of the University of Chicago Press "Popular Edition, Twenty- first Printing / Impression, September 1946"
This edition prints the Westcott & Hort Greek text and Goodspeed's American Translation on facing pages. 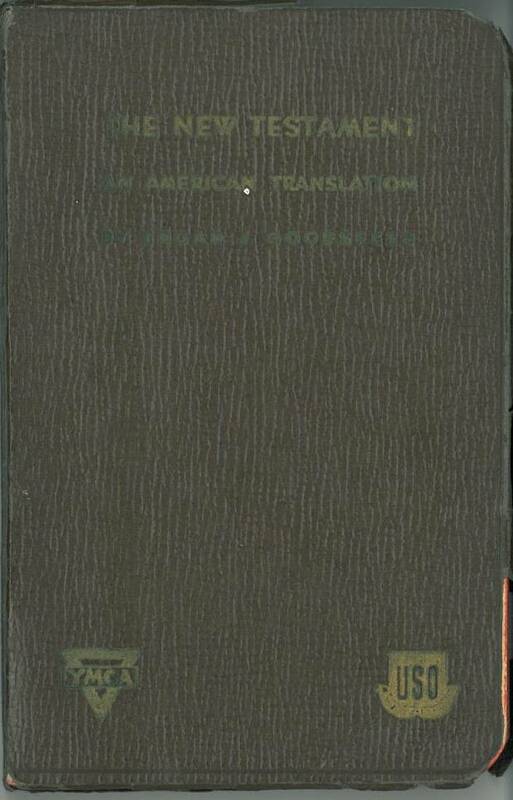 References: Chamberlin 330-1; Herbert see 2228; Hills see 2290; Taliaferro CN00019. 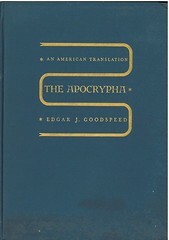 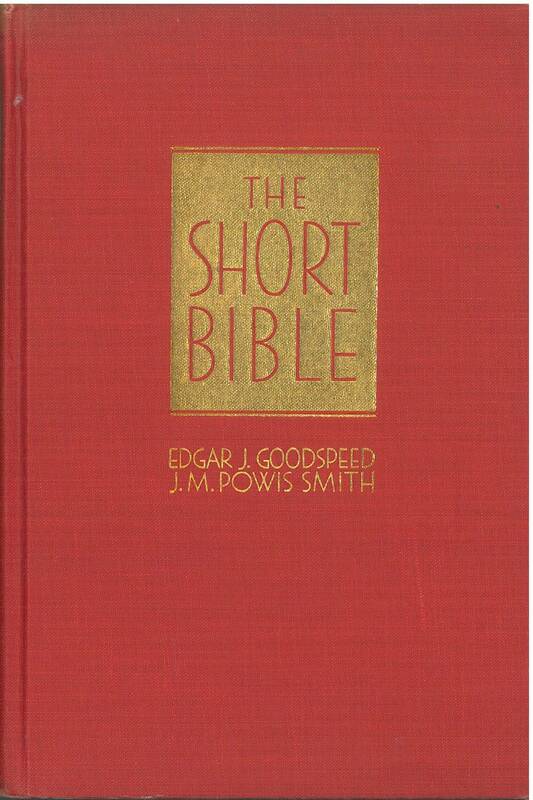 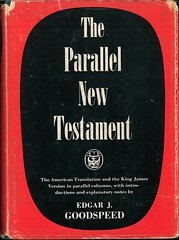 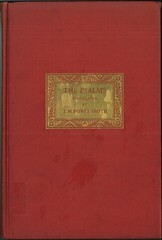 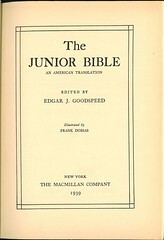 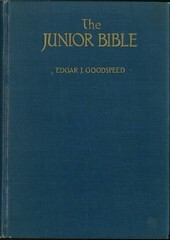 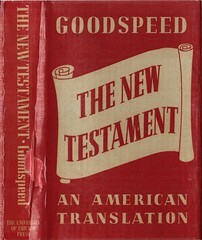 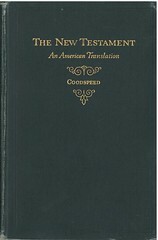 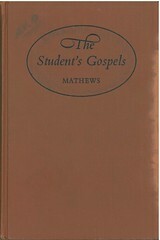 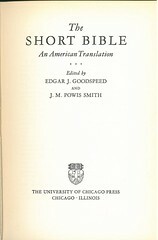 This edition was reprinted by Vintage Books in 1989. 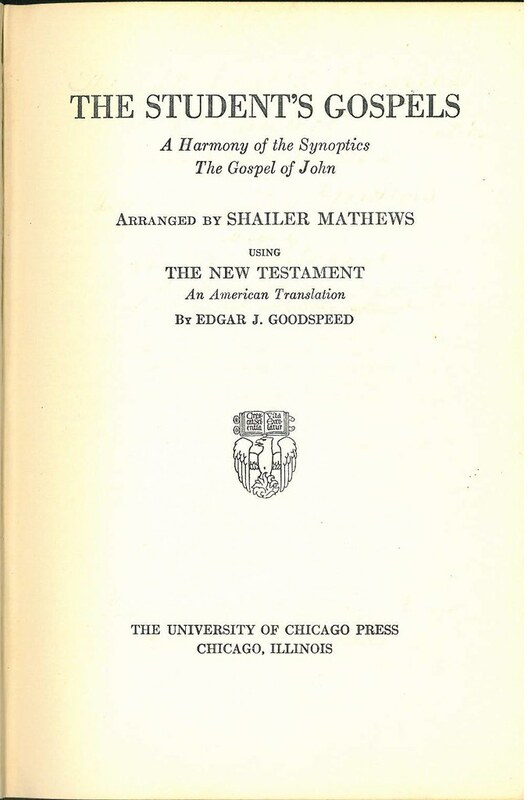 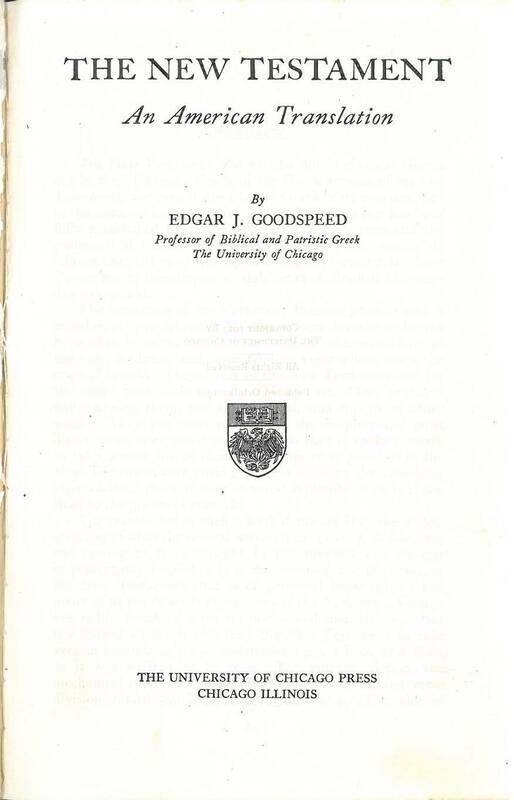 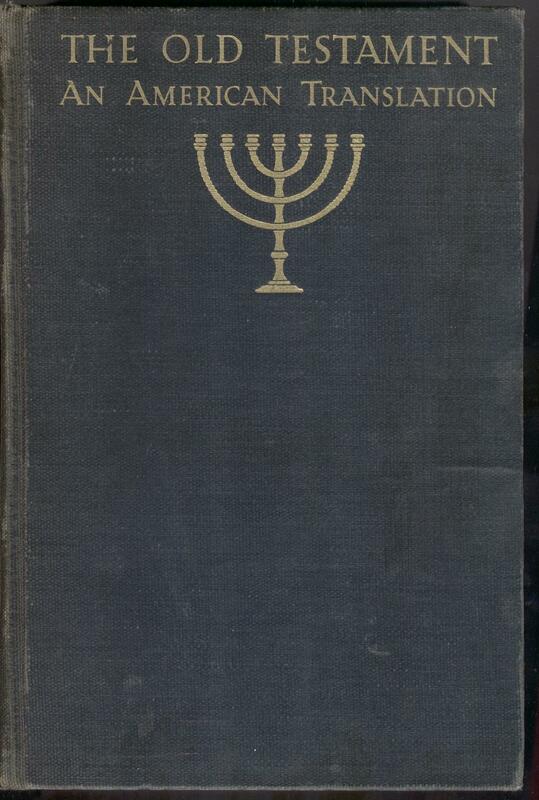 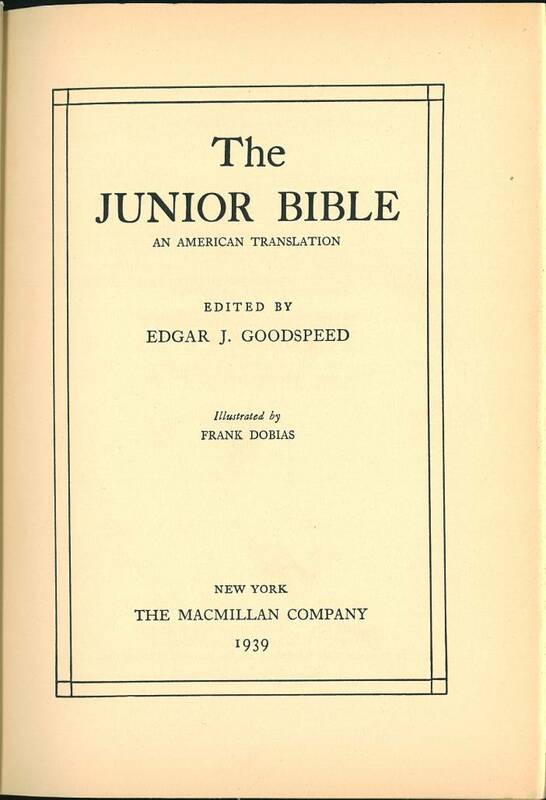 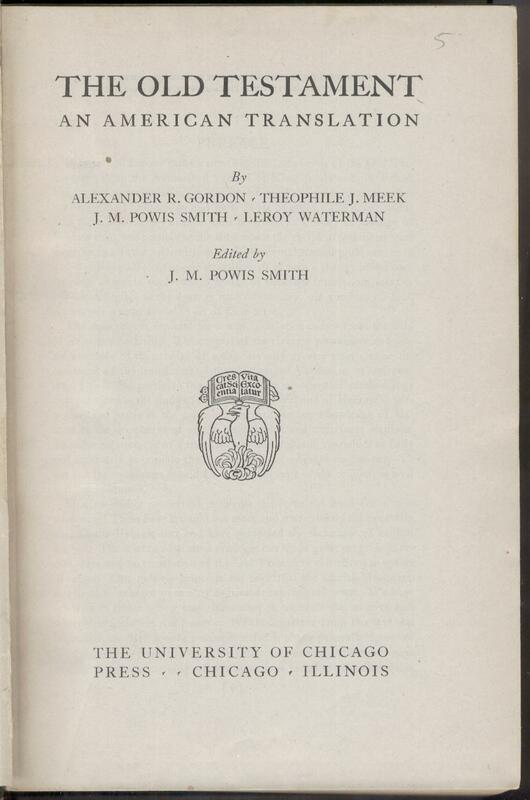 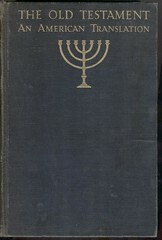 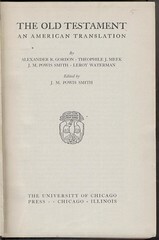 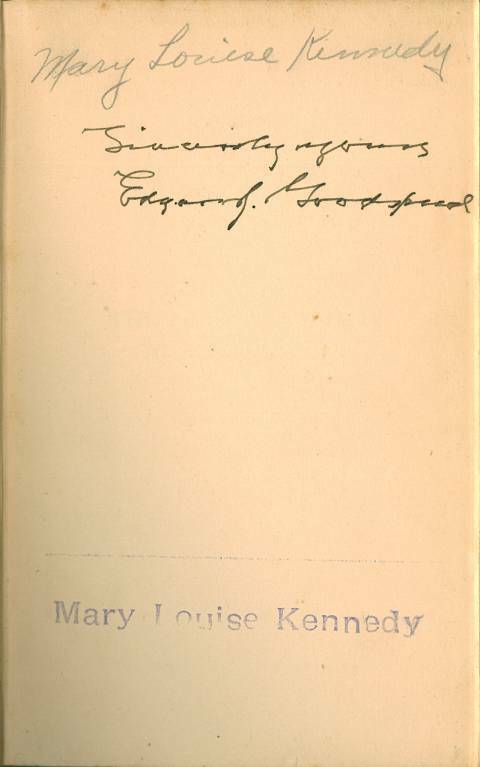 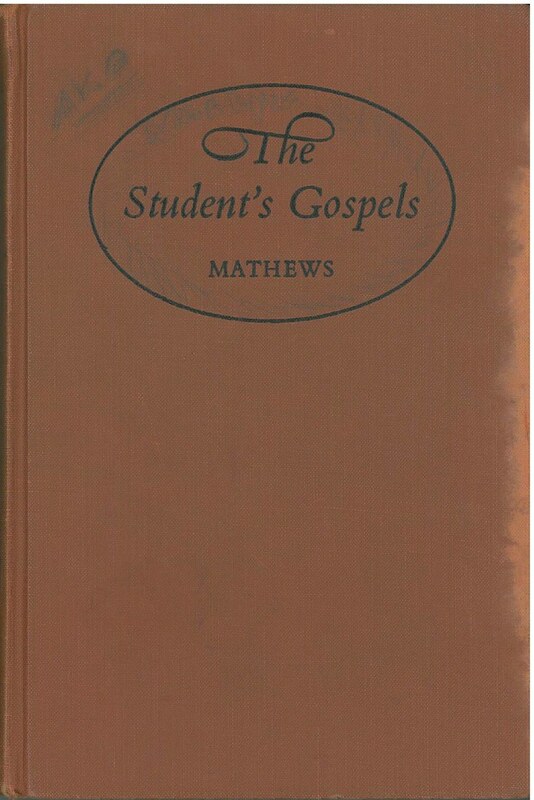 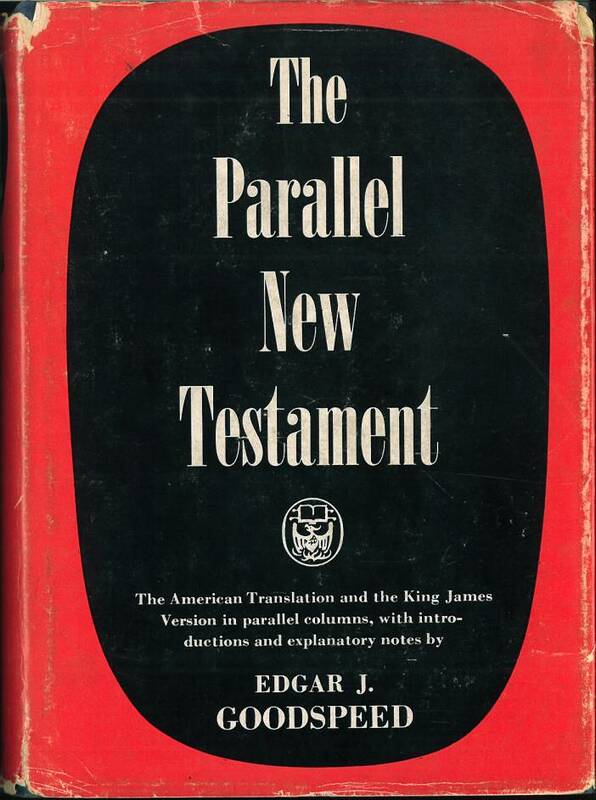 It was originally published in hardcover by the University of Chicago Press in 1938. 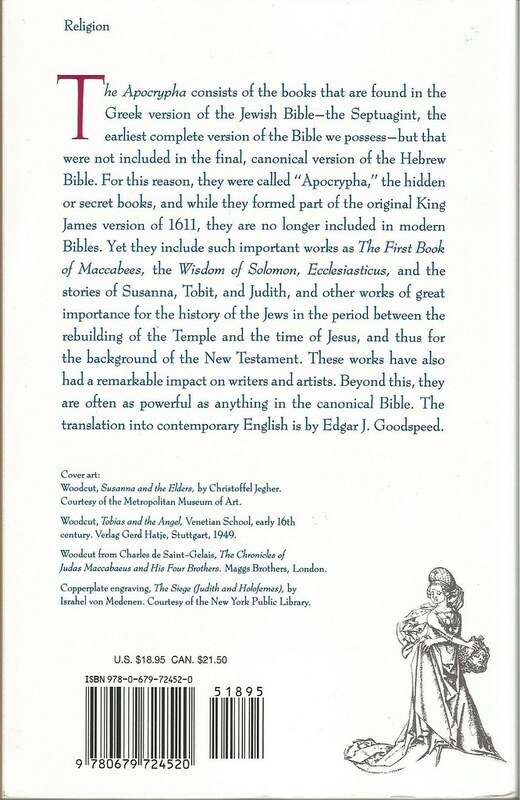 Comments: The introduction was written Moses Hadas. 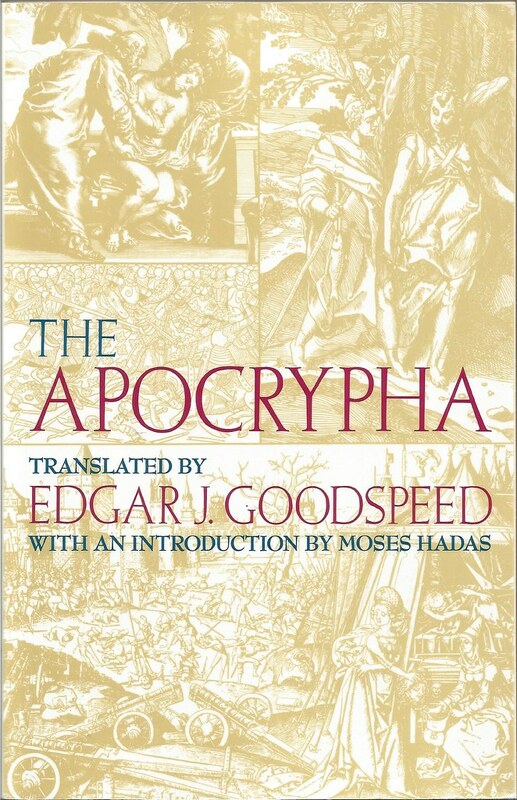 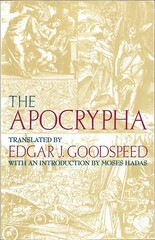 The cover shows illustrations from Susanna, Tobit, Maccabees and Judith. 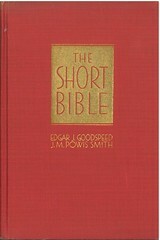 References: Chamberlin 38-4; Herbert 2215, 2228, 2238; Hills 2260, 2290, 2321, 2375; Taliaferro CN00019, Taliaferro-EELBV 7800.140. 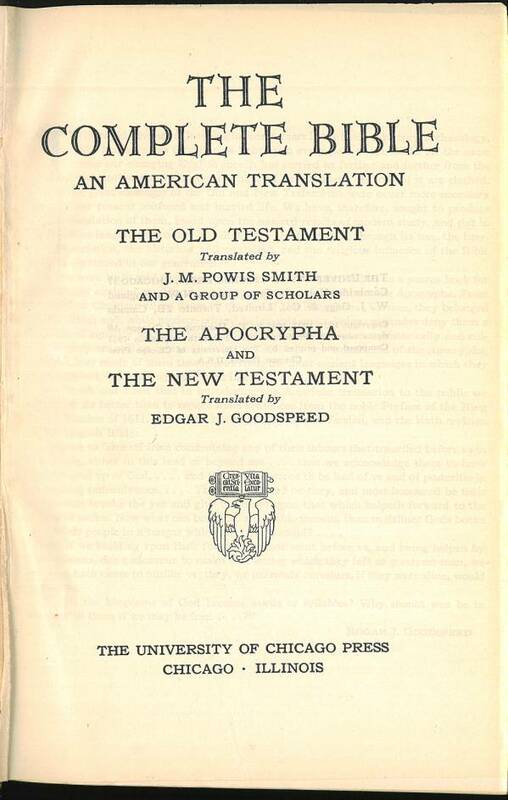 References: Chamberlin 38-4; Hills 2335; Taliaferro CN00019, Taliaferro-EELBV 7800.110.